The owner wanted a yacht that he could cruise himself but that would also hit the sweetspot with charterers. “Having chartered extensively we knew what we wanted and, more importantly, we knew what didn’t work. 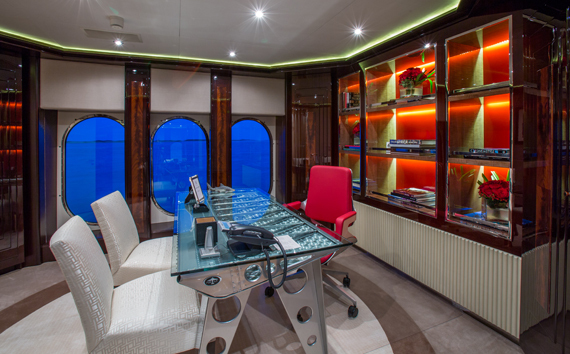 With seven cabins, an office and a yoga/spa room, this yacht had the ideal profile for our family, and would have many more amenities than any boat her size,” he says. While the owner was pretty happy with the arrangement of the yacht – “the layout of the boat was excellent” – some changes needed to be made to allow better access to the swim platform: originally, you had to go along a dark interior staircase in the garage. “Guests had to meander through the toys and tools in the garage,” says the owner. “So we created an elegant curved staircase that goes directly on the outside from the aft portion of the main deck to the swim platform. This gives easy access to the swim platform and the crew doesn’t have to worry about guests tripping in the garage.” He says that the extension added three metres to the boat’s length, which “streamlined her profile nicely”. The yacht is now on charter through Northrop & Johnson from $425,000 per week, as well as providing a great place for the owner’s own cruising. 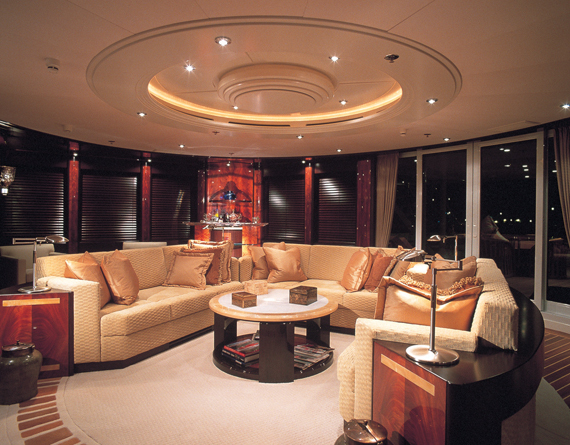 “There are so many great areas aboard Dream. Inside, we love the sky lounge. We created very comfortable sofas that are really daybeds. By using supple, water-resistant Italian leather you can put your feet up with a good book or take a nap. But the fun really starts when you watch an HD movie on the 103in plasma. It is super-bright and you can enjoy it in broad daylight unlike TV projection systems that require blackouts. 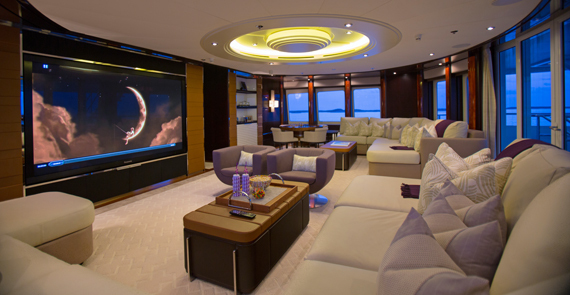 Having a cinema on board is an excellent way for up to 12 people to gather and end a day of fun activities,” he says. And a favourite space outside? “The sundeck feels like a corner of South Beach with comfortable chaises that you can easily move around protected from the wind. In addition, there are funky seating corners and removable awnings that can provide shade to some areas while leaving others uncovered for the sun-worshipers. A bar and Jacuzzi are additional features on that deck that we love,” the owner says. 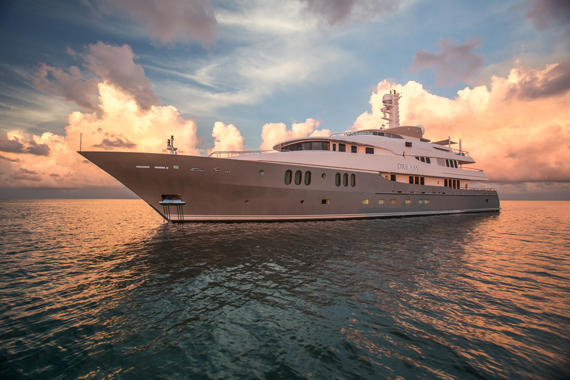 And judging by the interest shown in Dream already this season, this refit has clearly met the owner’s brief of a yacht that will appeal to family charter parties.